Need Some Painting and Decorating Work Done In Mandurah or the Peel Region? Then Leave It To The Master Painter Aldo Agostino! 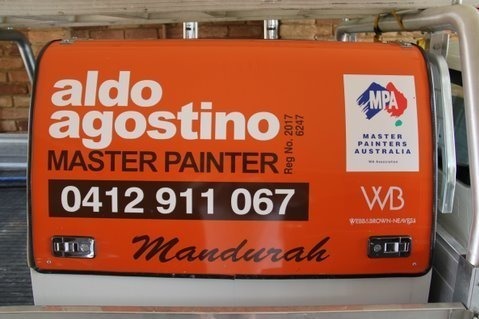 Yes Aldo Agostino is a fully qualified and highly experienced Master Painter based in Mandurah. Master Painter accredited in Western Australia as well as Dulux accredited, it is extremely difficult to match the quality of work that is provided by Aldo and his Team. Call now for more details! Our contact details are here. "Leave It To a Master Painter!" © 2010-2019 aldo agostino MASTER PAINTER. All rights reserved.